Use the form below to inquire about Boutique Resort At Colvale Village . Use the form below to reserve for Boutique Resort At Colvale Village . These rooms are on the ground or first floor and offer the views of the river, pool or forest from their private sit outs. The rooms are in a villa which has its own private pool. 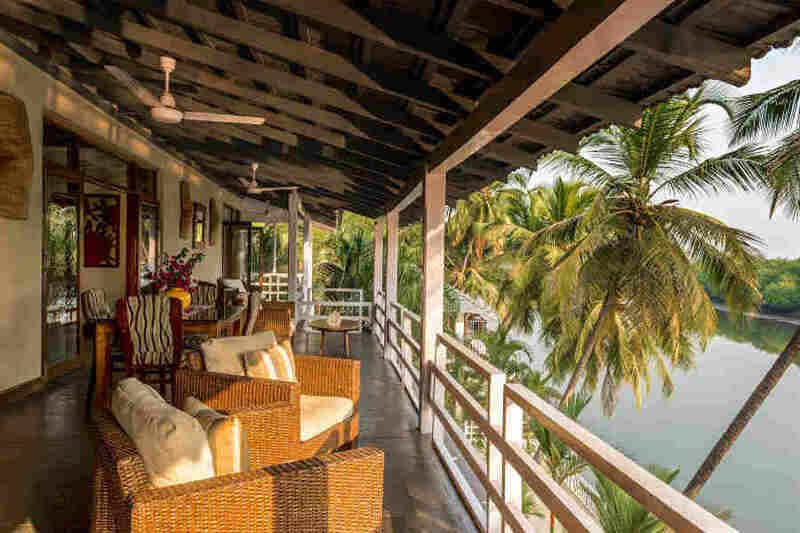 Reconnect with your inner self at this Boutique Resort at Colvale Village on the banks of a calm river close to Goan hubs. Colvale is a rustic village dotted with paddy fields and the gently meandering Chapora river. 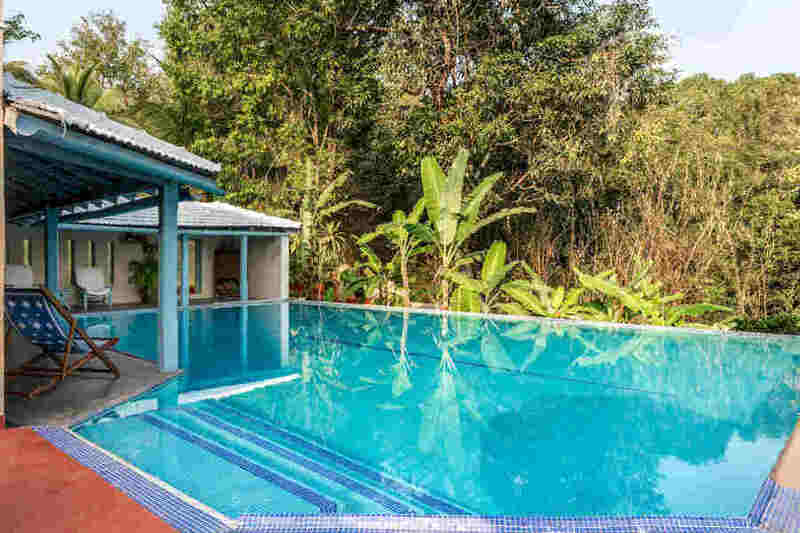 This Boutique Resort at Colvale Village sits on the banks of this beautiful river and its tributaries, hidden in a tropical garden down a mud lane. 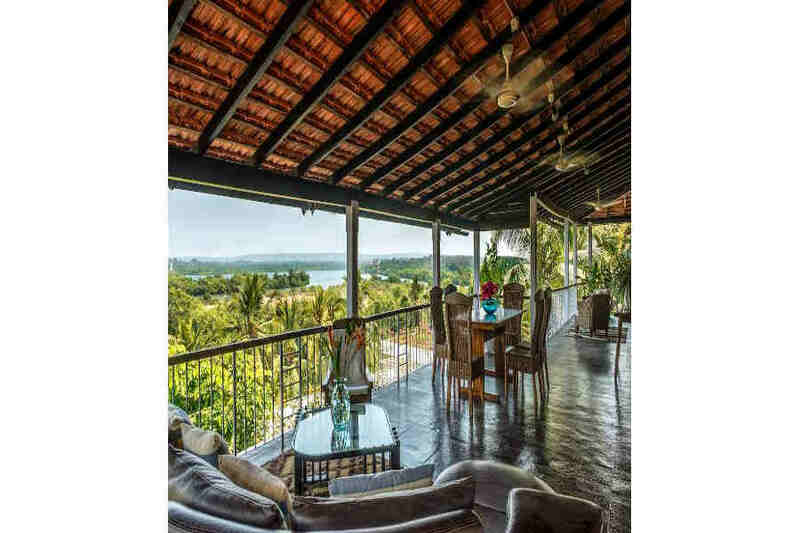 This alluring village was once a colonial defence station and has a history that can be traced right up to the second century, and all of this is in close proximity to the throbbing nightlife and beaches of Goa. The exterior of this Boutique Resort at Colvale Village is a smooth blend of traditional and contemporary architecture. 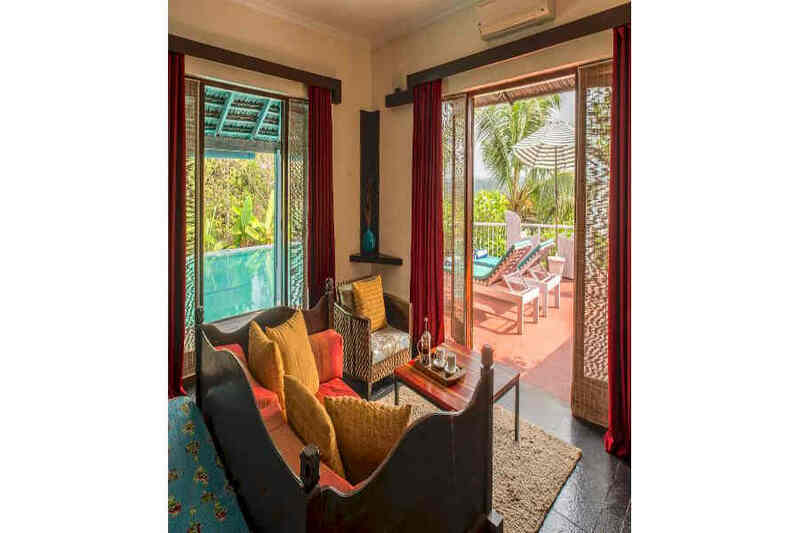 The main structure is edgy modern while the interiors exude a traditional Goan feel with cane and wood furniture as well as terracotta roof tiles. The sit outs and balconies open to heavenly vistas of the placid river, dense jungle, and the pool. The vast and lush lawn is perfect for outdoor weddings. Though the resort is secluded, quality food and beverages are available at the restaurant on the property. The riverside deck restaurant serves up luscious Indian, Italian, and Continental delicacies. 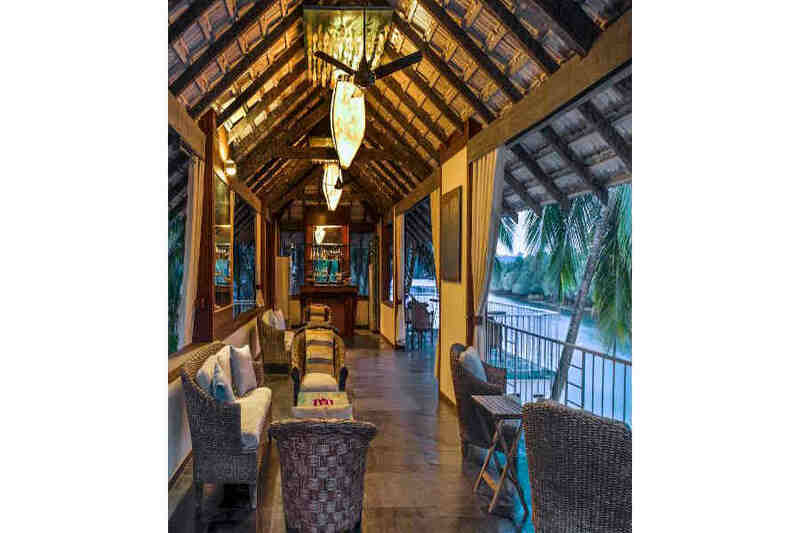 The bar, shaded by coconut trees and overlooking the river is the ideal location to enjoy a cocktail. Massage rooms and steam rooms also offer great views of the river. All rooms are spacious and air-conditioned while being classified into Star and Favourite categories. Star rooms open on to a private pool. Favorite rooms come with a view of the river, forest or pool, either on the ground or the first floor. All interiors feature classic antique furniture pieces and rooms come with balconies, private and common sit-out areas. 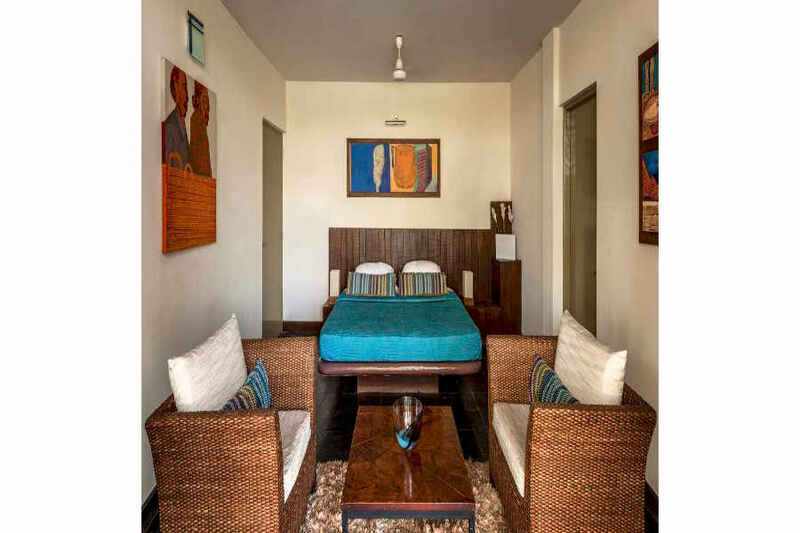 This Boutique Resort at Colvale Village offers the opportunity for a wholesome Goan experience with adequate relaxation! This resort is set scenically to make for a tranquil stay even while being within easy reach of all the happening places in Goa. 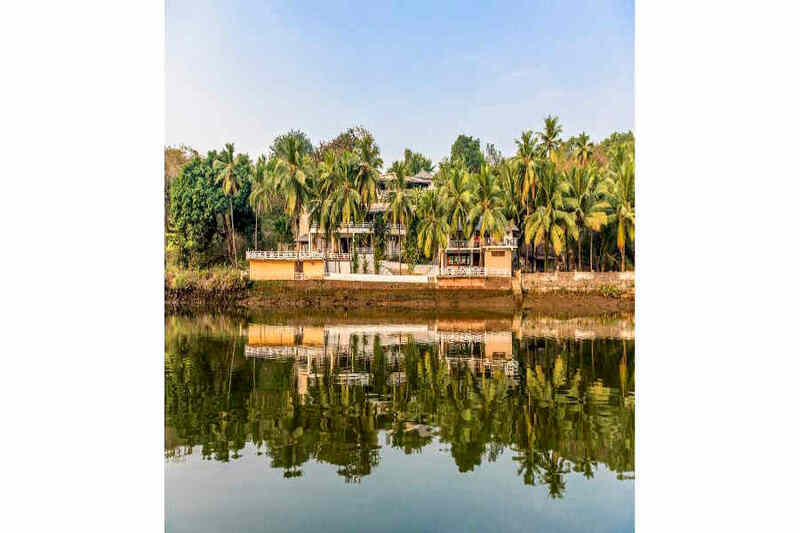 Take a languid boat ride through the picturesque waters of the Chapora river and head for the popular beaches such as Morjim, Mardrem, and Vagator. Many water sports and shopping centres await you at these beaches. Soak in the sun during the day and as darkness falls, enjoy the night life of Goa. Explore Chapora Fort or go on a shopping spree at Mapusa Market. You can also book a day cruise on a houseboat on the stunning Chapora river. Else, go on a motor boat along the river to the sight of exotic birds, water buffaloes, and crocodiles. Try some fishing and if you land a catch, the chef will cook it for you. Indulge in water sports on the river such as kayaking, jet skiing, and parasailing. Unwind at the massage centre and steam room close as you enjoy river views or simply kick back and lounge in of the two pools at the resort. Goa International Airport, Dabolim, is the nearest to Colvale at a distance of 42 km. Mangalore International Airport is at a distance of 390 km while Kempegowda International Airport, Bangalore, is 619 km away. Thivim railway station at 8 km is the nearest while Vasco da Gama is 42 km away and Madgaon is at 52 km. Bangalore railway station is 594 km away. Panjim is about 20 km, Madgaon 51 Km, and Karwar 122 km away via NH66. Bangalore is accessible via NH48 at a distance of 594 km.